The Howard Hughes Corporation®, developer of theSummerlin® master planned community and Las Vegas Ballpark®, have announced a multi-year partnership designating Cox Business as the Technology Sponsor of the new 10,000-capacity stadium. 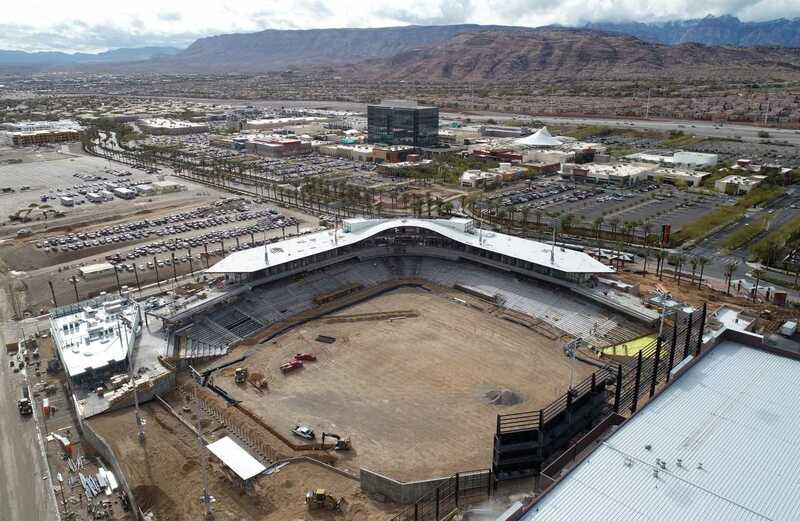 Currently under construction at Downtown Summerlin®, Las Vegas Ballpark is the future home of the Las Vegas Aviators®, the city’s professional Triple-A baseball team of the Pacific Coast League (PCL) and affiliate of the Oakland Athletics. As part of the deal, Cox Business will offer telecommunications services delivered through fiber optic cable including internet, cable television, voice services, managed public and private WiFi, as well as network infrastructure that includes 380 access points. The company has successfully designed and deployed technology services resembling those at Las Vegas Ballpark for sports venues, serving as Exclusive Technology Integration/Telecommunications Services Provider at T-Mobile Arena in Las Vegas, Nev., home of the Vegas Golden Knights; as Exclusive Marketing and Technology Provider at State Farm Stadium in Glendale, Ariz., home of the Arizona Cardinals; as Exclusive Technology provider at Dunkin’ Donuts Center in Providence, R.I., home of the Providence Bruins; and as the Exclusive Telecommunications Sponsor at Admiral Fetterman Field in Pensacola, Fla., home of the Blue Wahoos.